Getting thousands of different products onto shelves in our customer's stores in the right quantity, time, and quality is a daily challenge at P&G. Getting thousands of different products onto the shelves in our customer's stores in the right quantities, at the right time and with perfect quality really does present a new challenge every day! P&G's Supply Network Operations organisation is there to meet this challenge: forecasting customer demand, managing the information flows from orders, shipments and invoices and owning the physical distribution process from Distribution Centre to the customer's shelf. As a new manager within the Supply Network Operations organisation, you will have a real job, with real responsibility from day-one, together with the training and development you need to be successful. Our unique 'build from within' organisation means we grow and develop our senior management of the future from new managers like you. So, we will continually develop your career through a broad and varied range of assignments that ensure your skills and capabilities are continually challenged and developed. You will be responsible for the physical distribution of P&G products and their timely delivery to our customers, collaborating closely with our manufacturing plants, distribution centers and external logistics partners (including 3rd party distribution centres). By analyzing and optimizing our organisation, work processes and transport, you will balance the challenge of reducing physical distribution cost while maintaining and improving competitive service levels to our customers and may also be responsible for leading a small team of people. Where ever you begin, you will be prepared for the challenges of your role both through learning on the job and structured training. - Bsc degree in Engineering. 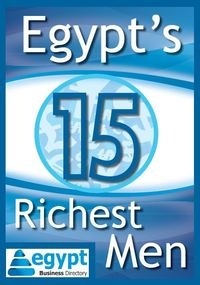 - Legally eligible to work in Egypt.